BFK is a fun-filled event that provides companies, organizations, churches, schools and families the opportunity to show their support by raising dollars and awareness to support Children’s Mentoring Connection. Create a Team: Form a team of just 5 individuals, collect pledges and help support mentoring programs right here in Hancock County. Register to Bowl: Join us at the event as a bowler. If you don’t already have a team you’re bowling with, sign up and we’ll assign you to a team in need of additional bowlers. It’s Not About Bowling, It’s About Helping Kids! We need you to help us reach our CMC Bowling For Kids fundraising goal of $65,000. All proceeds from CMC Bowling For Kids stay in our community to help our kids. Make a Donation: Make a donation to support your favorite team, or a bowler, or donate to the event. Become a Sponsor: Find out how your company can participate in our fundraising events. Sponsorship opportunities are available. 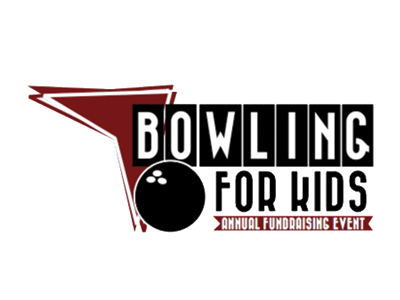 For more information about CMC Bowling for Kids, visit our website or call 419.424.9752. Local banks and credit unions will recruit a team of 5 employees, family and/or friends to compete at CMC Bowling for Kids 2019. Bowl any shift on March 9 or 10, 2019 at AMF Sportsman Lanes. The team that raises the most money per team member will win the Battle of the Banks traveling trophy and have their team photo in The Courier. Sign your team up by registering here and adding “(Battle of the Banks)” after your team name. Local first responders will recruit a team of 5 employees, family and/or friends to compete at CMC Bowling for Kids 2019. The team that raises the most money per team member will win the Battle of the Badges traveling trophy and have their team photo in The Courier. Sign your team up by registering here and adding “(Battle of the Badges)” after your team name. Local High School Mentors will recruit one or more teams of 5 friends, school staff and/or family to complete at CMC Bowling for Kids 2019. All high schools in Hancock County are eligible. If more than one HS Mentor team per school participates, the donations will be combined for the grand total for each school. If you would like to learn more about this program, contact our office. The school that raises the most money per school will win the Battle of the HS Mentors, a traveling trophy, and have their team photo in The Courier. Sign your team up by registering here and adding “(Battle of the HS Mentors)” after your team name. First Fed-Findlay Downtown #1 "Battle of the Banks"
HFCU #1 "Battle of the Banks"
HFCU #2 "Battle of the Banks"
Hancock County Sheriff's Office "Battle of the Badges"
Stall & Company CPAs, Inc.
For Team: Gutter-balls "VB HS Mentors"
Below are the sponsorship levels available for our event. Please contact us if you would like to become a sponsor or have any questions. Sponsorships can be paid online or you can download and complete the sponsorship form and mail in a check for your sponsorship. Post-Event Thank-You in The Courier. Sponsorship with logo is Posted on the Registration Webpage and shared on Social Media. Sponsor Names given during Event Announcements. Sponsorship is Posted on the Registration Webpage and shared on Social Media. Name Printed and Displayed Above a Bowling Lane for the Entire Event. Benefits include: Name Printed and Displayed Above a Bowling Lane for the Entire Event.